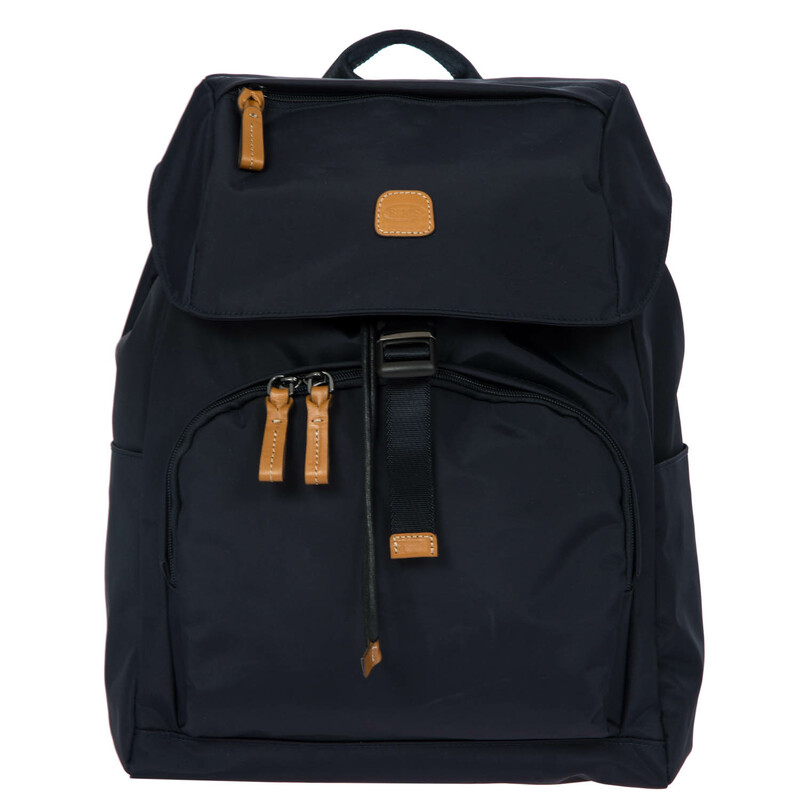 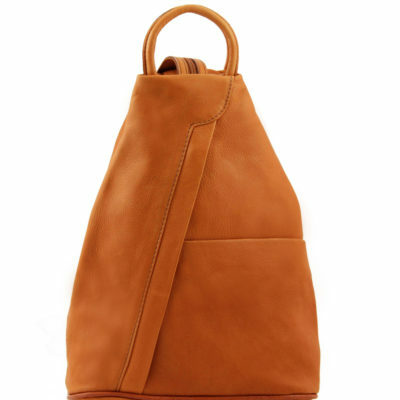 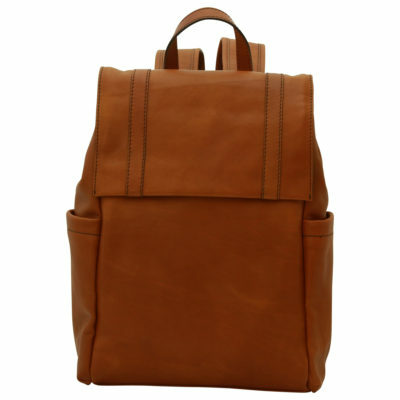 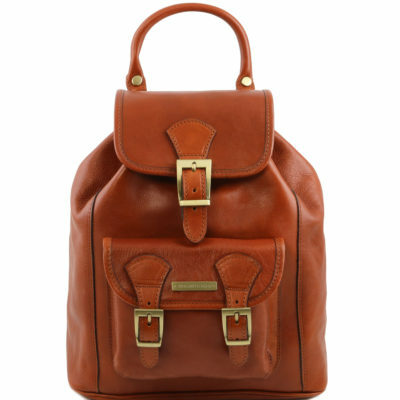 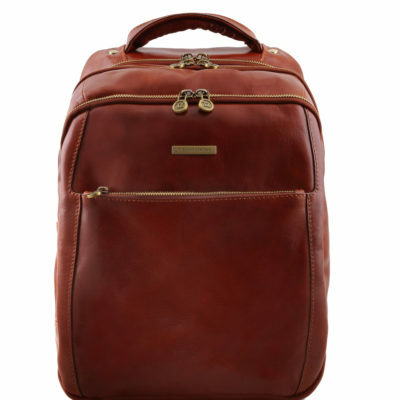 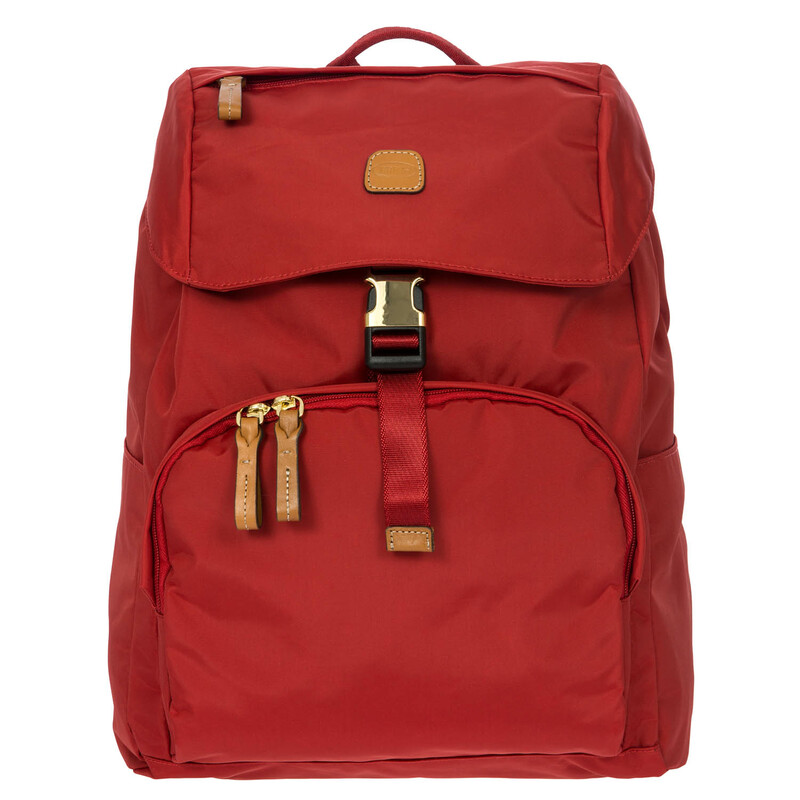 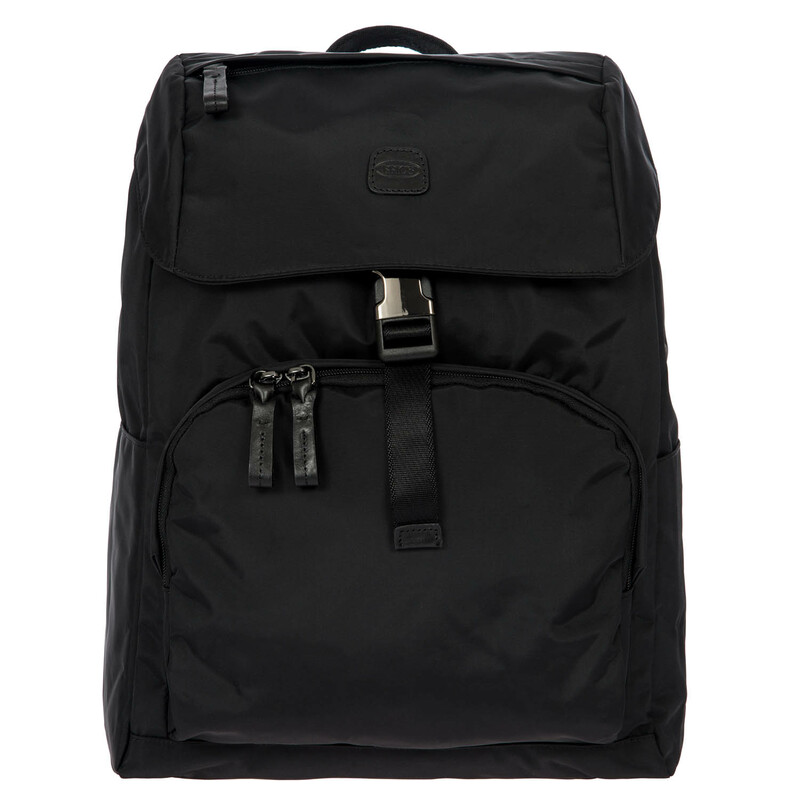 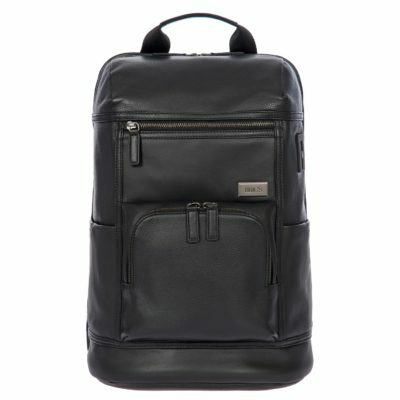 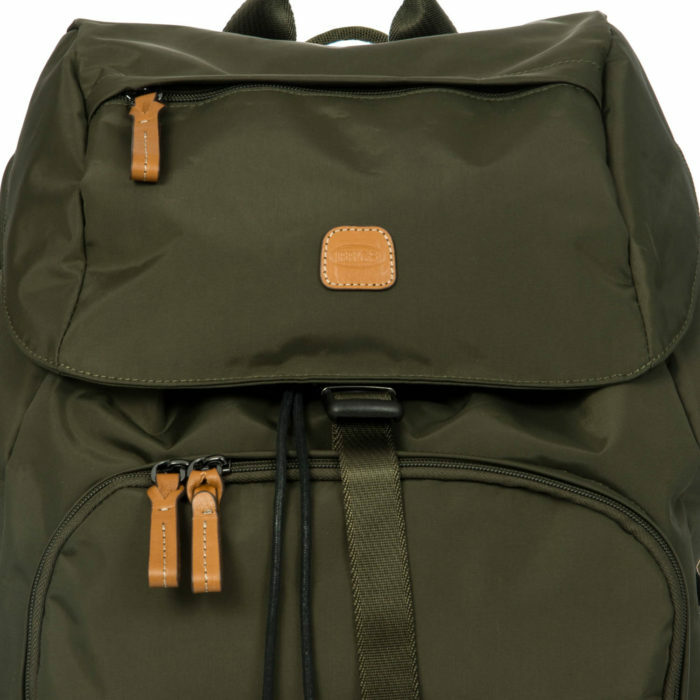 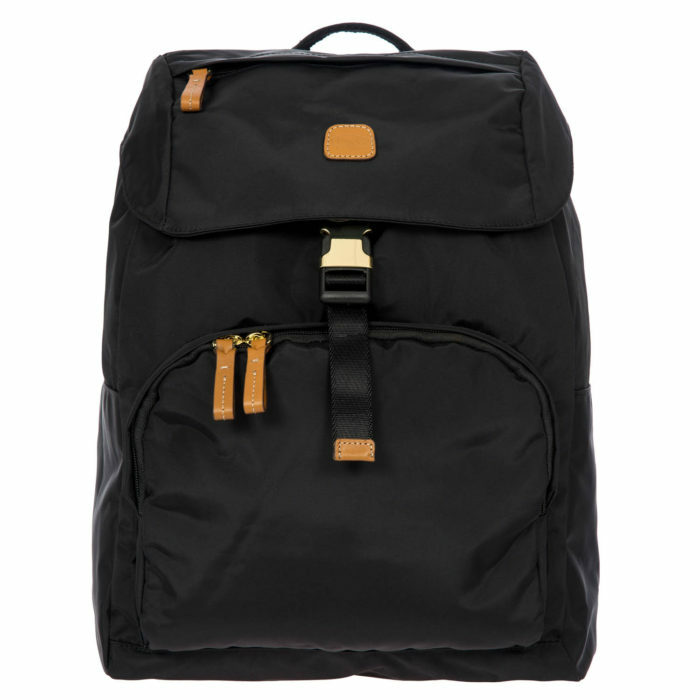 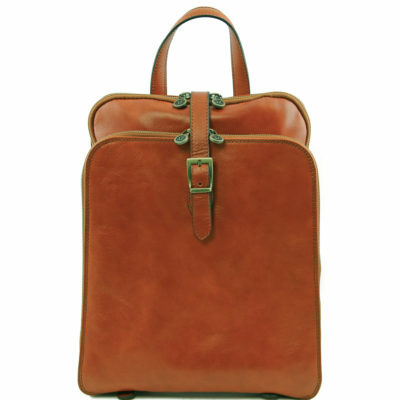 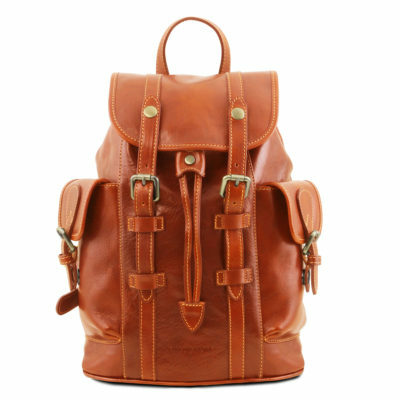 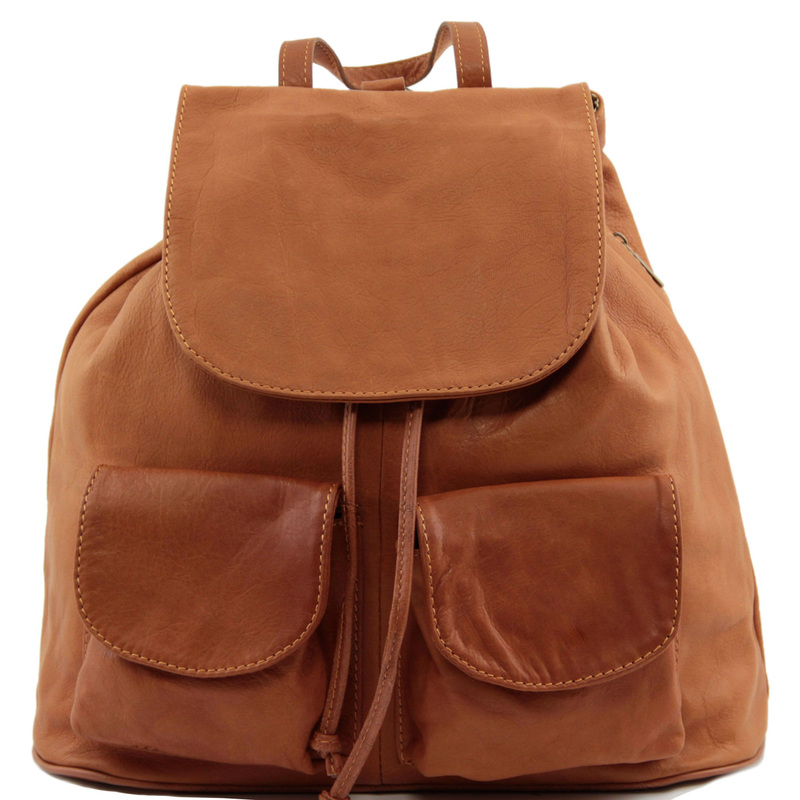 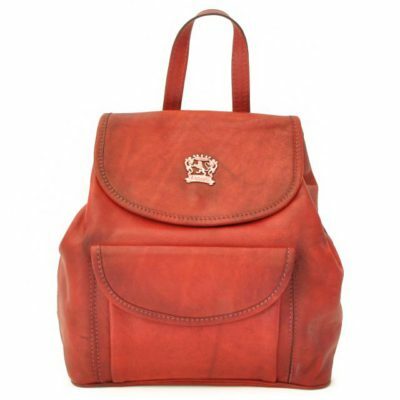 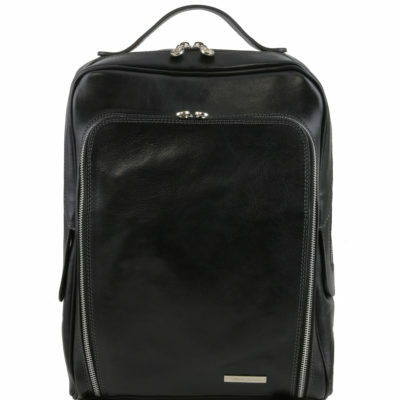 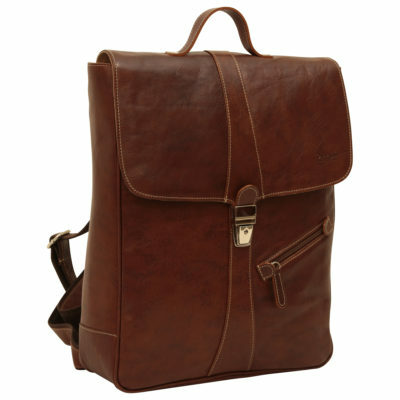 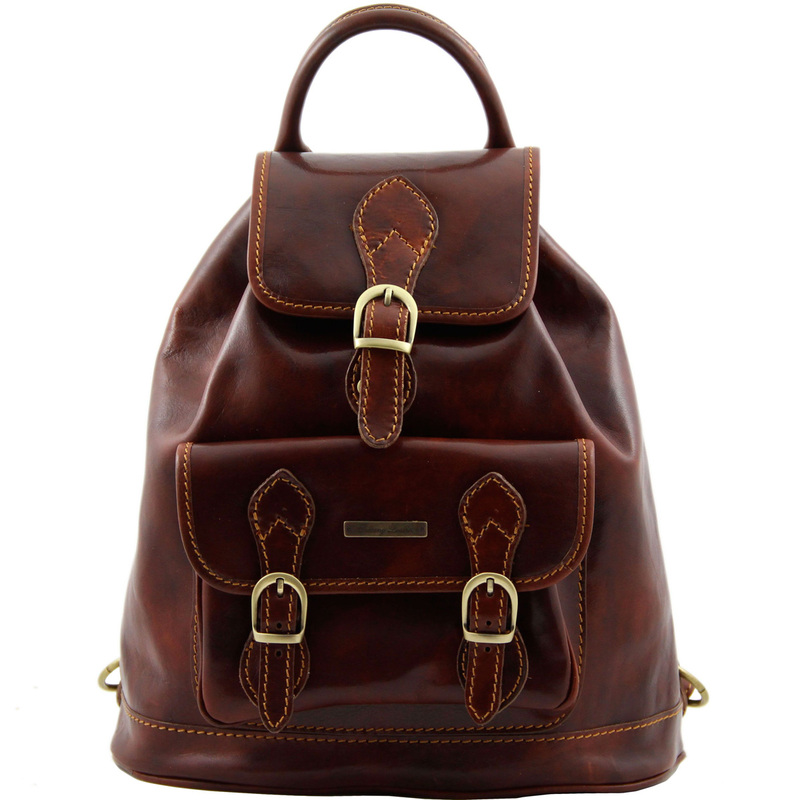 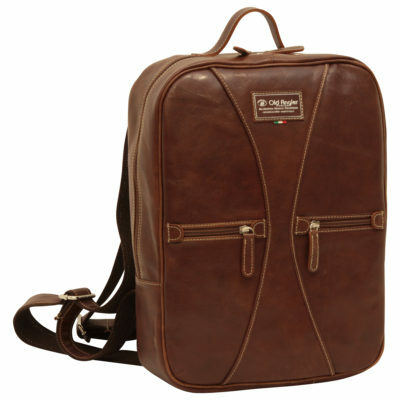 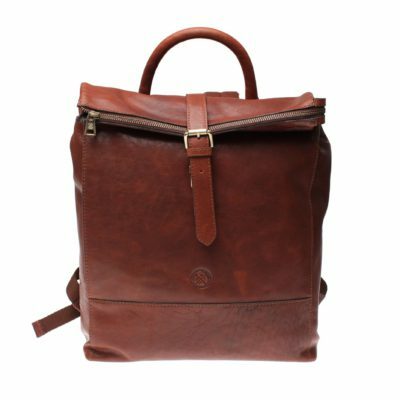 Large light backpack from the X-Travel collection in satin nylon with leather finishings. 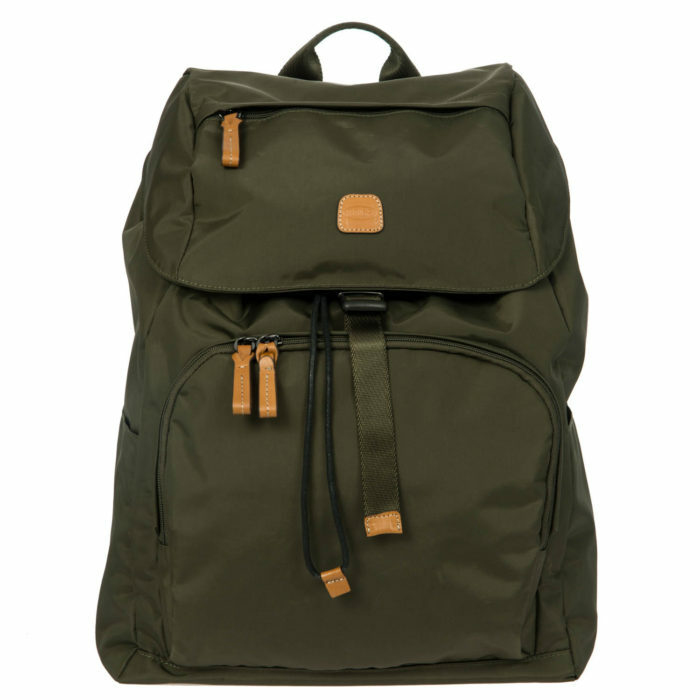 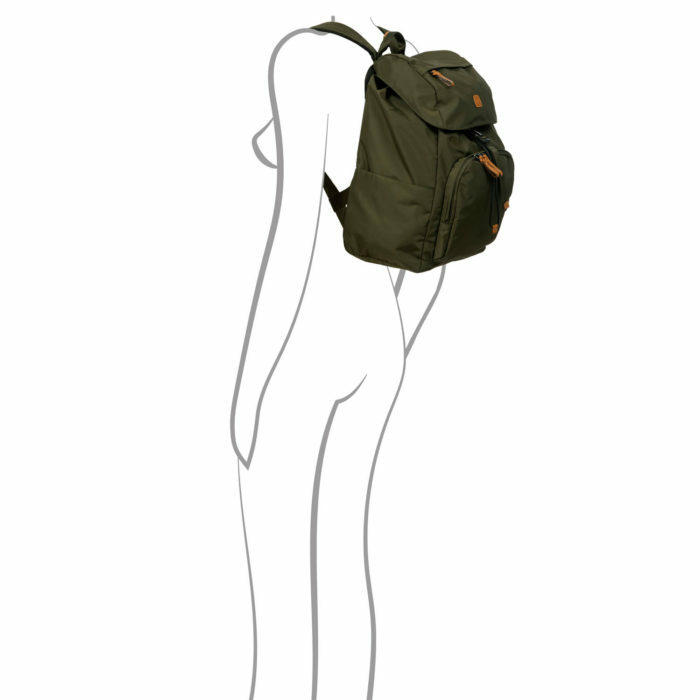 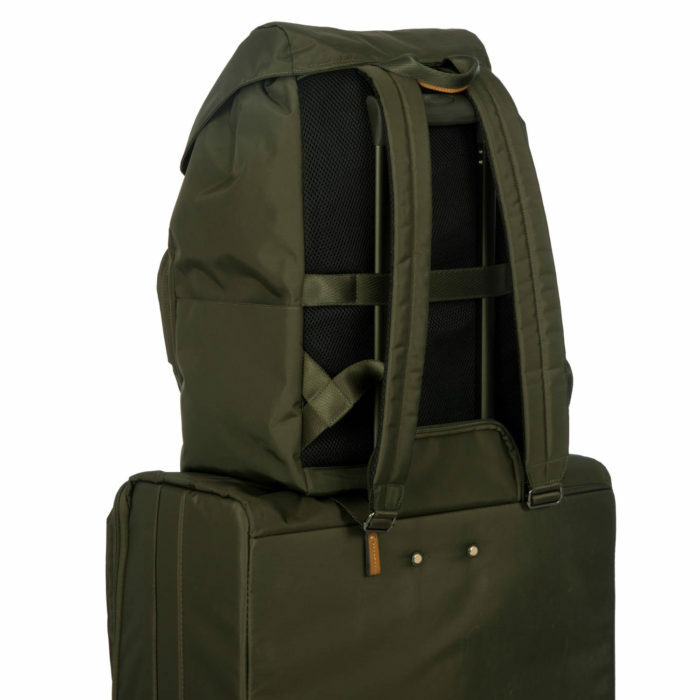 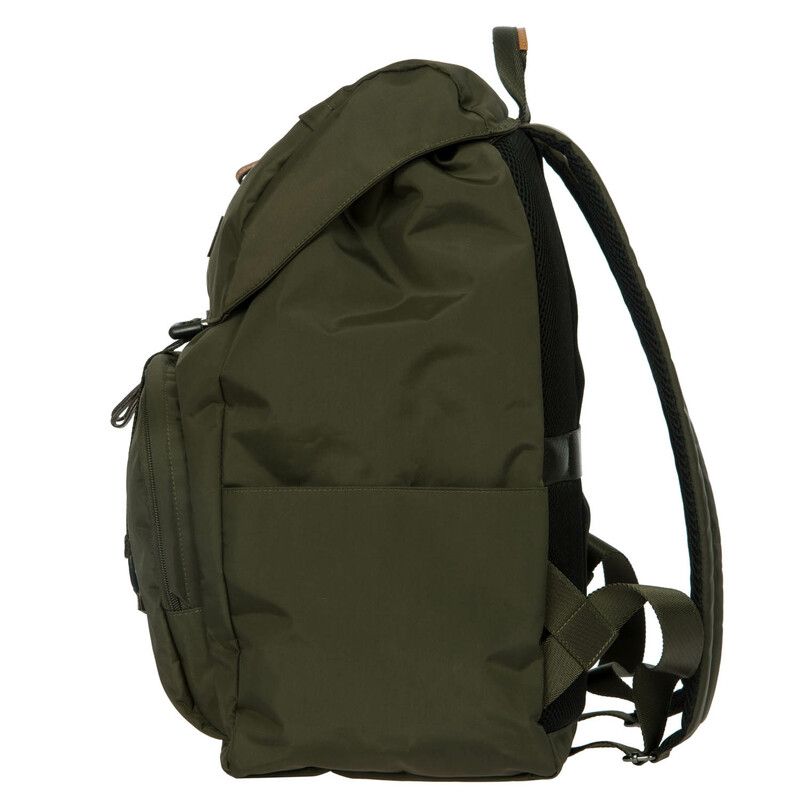 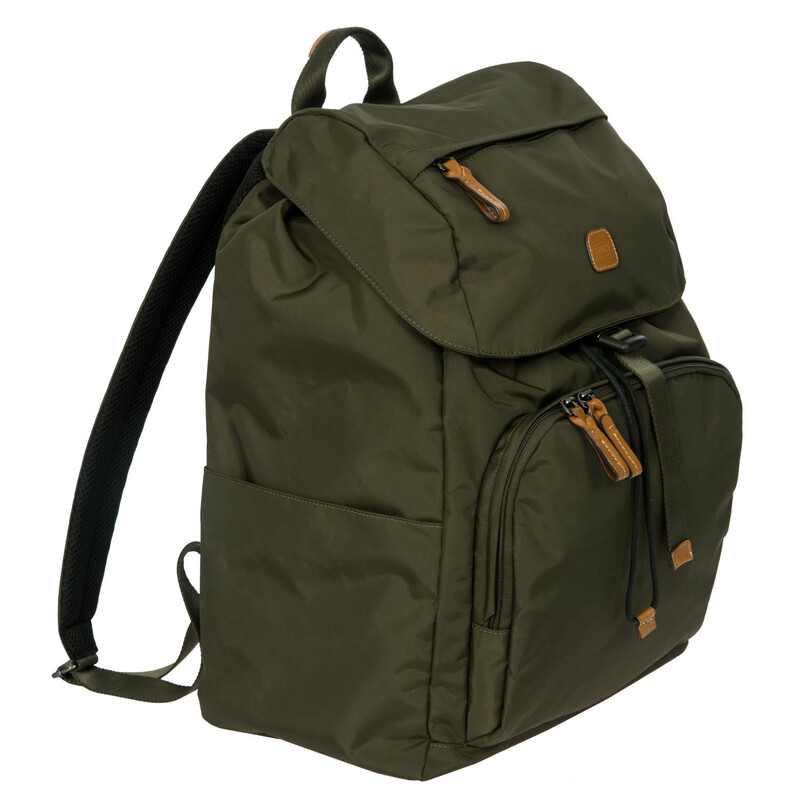 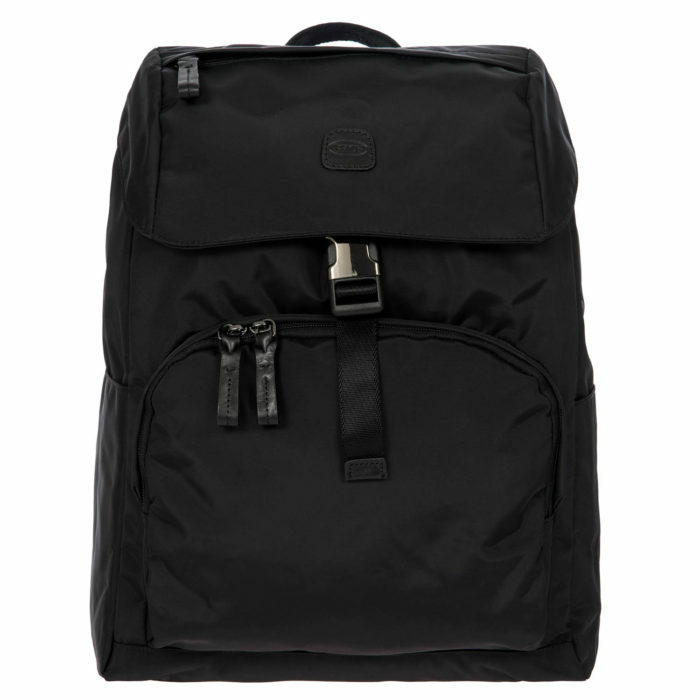 EXTERIOR: top cover with generous zipped pocket and clip fastening; double-zip front pocket with 4 organizer compartments and 2 document holders; 2 side pockets; the adjustable shoulder straps and the backpack’s rear are padded and covered in breathable fabric; rear strap for attaching the backpack to the trolley handle. 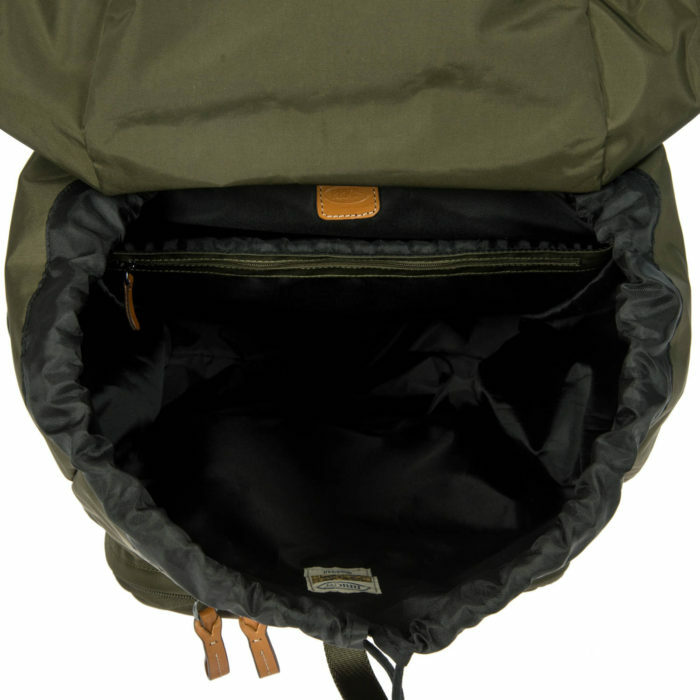 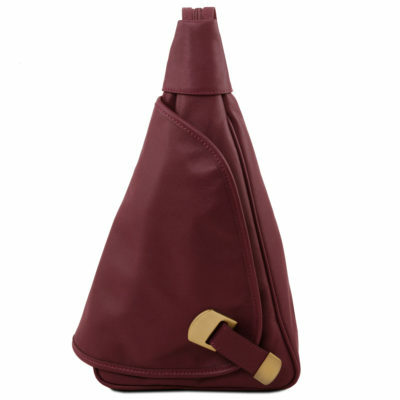 INTERIOR: dividing padded pocket with zip, drawstring fastening and zip pull.